Judith Rinearson, a lawyer specializing in Fintech and Emerging Payments, is based in K&L Gates' New York and London offices. Ms. Rinearson concentrates her practice in prepaid and emerging payment systems, electronic payments, crypto/virtual currencies (including Initial Coin Offerings), reward programs, ACH and card/check processing. She has more than 25 years of experience in the financial services industry, including 18 years at American Express’s General Counsel’s Office. Her expertise focuses particularly in the areas of emerging payments and compliance with state and federal consumer protection laws, anti-money laundering laws, state money transmitter licensing laws and abandoned property laws. Fully experienced in both the “issuing” and “acquiring” side of the payments business, Ms. Rinearson has drafted and negotiated complex agreements with strategic co-branded partners, processors and Independent Sales Organizations (ISOs), ATM networks, major retailers and service providers, prepaid card issuers and program managers, international remittance companies, virtual and mobile payment providers, as well as the Terms and Conditions and disclosures that usually accompany such products. She has hands-on experience in all legal aspects of launching and managing a range of payment products, from prepaid cards of all kinds, to Bitcoin exchanges and miners, wire transfer services, ACH, electronic banking, money orders and credit cards. 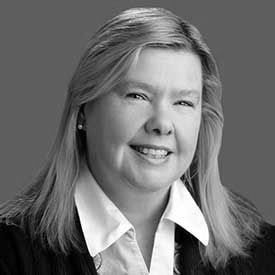 Her practice includes advising on fraud avoidance and compliance with federal banking and anti-money laundering laws, as well as state money transmitter licensing laws, consumer protection laws and abandoned property laws. On the international level, Ms. Rinearson has supervised the launch of a range of payment and foreign currency products in Europe, Asia and Latin America; met with international regulators; and spoken on the issue of payment regulation.